Register Now for Spring 2019 Baseball & Softball! 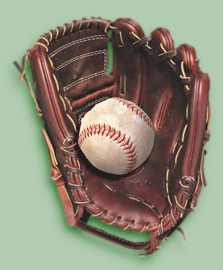 Each year approximately 300 players (boys & girls) participate in our baseball and softball programs. Players range in age from 4 to 19 year old. We have 32 teams w/over 90 volunteer coaches. In order to support these players, we have approximately 40 teams with over 120 volunteer coaches. We greatly appreciate everyone’s dedication in teaching children about baseball or softball. We strongly believe that baseball and softball must be FUN while learning to play! Your child will also acquire skills such as teamwork, loyalty, courage, respecting authority, self-discipline and good sportsmanship. These are all good character traits that will help your child grow into a successful adult. To prepare for each season, a great deal of planning takes place all year round. Prior to the upcoming season, our club meets monthly beginning in September to work out the details for the next season. Everyone is welcome to attend and provide input. Please view the General Calender on this website for information on our meetings and events. It is our hope that through this website we can keep everyone more informed. Thank you for your continued support and we ask every parent to volunteer to help support our program! C4Site Factory™ is a trademark of Echo Valley Graphics, Inc. | © 2019 Copyright Echo Valley Graphics, Inc. All Rights Reserved.